Every college campus has an office of Student Affairs or comparable division that oversees student engagement outside the classroom. They're typically responsible for a wide range of campus needs covering orientation, residences, sports, student groups, and more — not to mention the important task of keeping students informed about opportunities and inspired to participate. 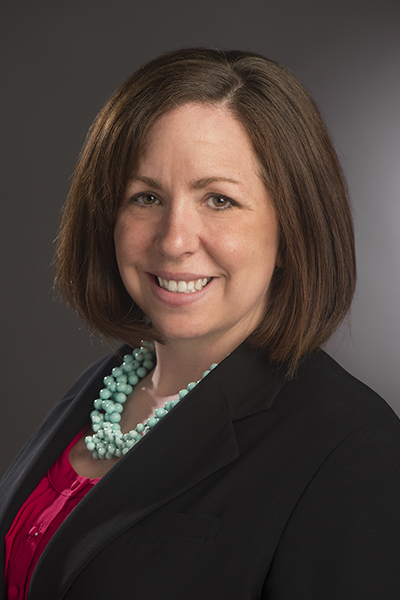 Sara Bayerl has worked in Student Affairs at the Rochester Institute of Technology (RIT) for thirteen years, currently serving in the Assessment, Technology, and Communications department. Her team oversees strategic planning and problem-solving across all levels of student life, with a focus on how technology can be used to improve processes on campus. When she started in her current role as Associate Applications Administrator two years ago, her first priority was to find and implement a new engagement platform that could be used by both students and administrators. "We had a solution that was not meeting our needs," Sara recalls. "We were paying a lot of money for a system that was used very little, since it had a limited scope of functionality." Because their engagement platform lacked so many features that RIT needed, the school was forced to purchase a variety of additional services to cover specific functions like email targeting and newsletter building. Maintaining multiple platforms proved to be expensive and disorganized for administrators, as well as frustrating for students. "Students don't want to go to ten different logins," says Sara. "They want one place to do everything they need to do." with hundreds of student groups and thousands of events scheduled each semester, rit needed an engagement platform that was both powerful and versatile. Before diving into the marketplace of engagement tools, Sara started by taking a hard look at student life at RIT and determining exactly what the Division of Student Affairs needed to be successful. "We stripped away the whole idea of technology and held a ton of brainstorming sessions to understand what we needed as a division," she says. She knew, of course, that RIT would need a robust community engagement platform, complete with all of the tools required to manage groups, events, membership directories, and communications. Moreover, her office was seeking a powerful analytics dashboard to track student activity. "What we needed was a way for our departments to manage clubs and organizations, but we also needed a way for us to get better data about how our students were engaging — what clubs they're in, what events they're attending," says Sara. Beyond community management tools and performance metrics for administrators, Sara knew it was equally important to look at RIT's platform from the student's point of view. "One of the roadblocks in the old system was that it was hard for students to use," Sara recalls. "As a result, they just weren't participating." She spoke with students at RIT to understand what they were looking for in an engagement platform, and was surprised to discover that they valued streamlined functionality over flashy branding. "When companies try to be trendy, it's not helpful," she advises. "Students want something that's easy to use and mobile-friendly." Sara took a long-term, thoughtful approach to choosing an engagement platform, meeting with several different companies, comparing their features, and reviewing her division's needs. After much consideration, RIT's Student Affairs leaders decided to partner with CampusGroups as their official student engagement platform. "CampusGroups stood out since it not only had a ton of diverse functionality, but was also simple and really easy to use," says Sara. In August of 2017, RIT's platform went live. RIT's Bow Wow Wellness program brings therapy dogs to campus for students. RIT's pep band is completely student-run and performs at all large university events. 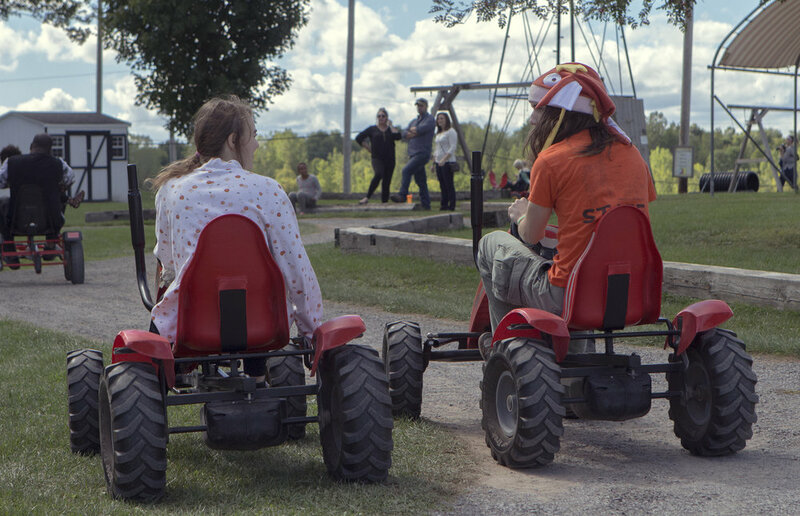 The MudTug is an annual event hosted by RIT's sororities and fraternities. In addition to being a lot of fun, the MudTug raises thousands of dollars for local charities. Fall brings a variety of student group events, including off-campus trips to local farms. Sara was thrilled to have found an all-in-one solution to power RIT's campus community. Once their system was up and running, she observed how different departments and student groups were getting involved, and before long she had a wish list of additional use-cases to expand on what CampusGroups already covered. When she brought her ideas to CampusGroups' founder and CEO Yorick Ser, Sara was surprised to hear that he was enthusiastic about collaborating with her to improve the product. "CampusGroups is invested in the success of their technology," says Sara. "They were much more responsive than bigger companies." One important example involved events. RIT had gone live with a dedicated events management platform, EMS, and had to rely on it even after the CampusGroups launch. Students would use EMS to reserve rooms and schedule events, but they needed that information to automatically sync with CampusGroups to avoid having to input their events a second time on RIT's new platform. "We needed to find a company that would integrate with EMS the way we needed to use it," says Sara. "I asked Yorick and he said, 'Sure, let's figure it out.' That was a huge help for us." By unlocking deeper integration between EMS and CampusGroups, RIT was able to take advantage of powerful features like ticketing, registration, and attendance tracking without disrupting the event processes they already had in place. Rit uses campusgroups for location-based attendance tracking, allowing administrators to see which study centers are used most frequently. RIT also requested the ability to track student attendance at specific locations around campus. Attendance tracking functionality existed for events in CampusGroups, but not for specific locations, and Sara's team was particularly interested in seeing what rooms students were using on a day-to-day basis. Upon learning of the need, Yorick and the CampusGroups team adapted the events attendance tools to fit the needs of location-based tracking. "We have a lot of centers where students are able to swipe in when they come in, so we can track the usage of that space to determine resources and make administrative decisions," Sara explains. "It's much better than a sign-in sheet." When it came to securely storing student data, Sara's office had a list of stringent requirements including both internal rules and federal regulations. "Schools are getting more careful about security and how their data is being used," she says. Her team worked with CampusGroups to ensure that the platform's data encryption and user permission levels aligned with the school's specifications. "CampusGroups passed our security standards with flying colors, and was willing to make changes when they realized there were gaps," says Sara. After six months of collaborating on RIT's platform, Sara credits CampusGroups' willingness to collaborate and improve as one of the key factors in their shared success. "It's been really impressive how responsive the company has been to building a bigger, better technology," Sara says. "CampusGroups thinks outside the box and is flexible with us. That's important because every school is different — it's hard to work within a technology that's too cookie-cutter." Today, RIT's platform on CampusGroups hosts over 400 student organizations with more than 3,000 upcoming events live in the system. Sara's team is focused on empowering administrators and student leaders to make the most of its functionality. "Our main goal is to open the platform and hand it over to departments for what they want to do with it," Sara says. "I meet with departments and clubs weekly figuring out what they need and how to do it." rit uses campusgroups to connect all aspects of their student community, from classrooms to residences. Her team has been offering themed workshops to address common use-cases. "We do presentations on topics like events, communication, and membership," says Sara. One recent training session focused on how to use CampusGroups to build websites; previously, RIT's student government had been responsible for the time-consuming task of building a website for each and every student group, but now groups could manage their web presence themselves. "The fact that a club has not only a page but they have a website they can use and modify on their own is very beneficial to us. We're saving resources by using all the functionality available," says Sara. "It even helps with recruiting. I got an email this morning from a student who accepted for next year and was able to go online to look up clubs." The benefits of RIT's new platform have extended to all corners of campus, and beyond. "Our Residents Life department loves CampusGroups," says Sara. "They submit surveys for events with their floors, send notifications, host documents and were able to replace their wiki page with a hidden CampusGroups page. They now use CampusGroups completely for RA training." Even seemingly small tools like automated follow-up surveys have impressed administrators and students alike. "They love that feature, says Sara. "It allows students and departments to capture contact information to find out who's interested in events and groups." When asked how she spreads the word about CampusGroups at RIT, Sara has a different answer depending on who she's talking to in that moment. "For club leaders, I say CampusGroups is where you go to get everything done to make your club successful," she says. "For department leaders, I tell them CampusGroups is a really robust administrative engagement tool, whether you're engaging with students or staff." Despite the myriad ways that CampusGroups is used at RIT — the many different kinds of users from administrators to students, the long list of powerful features covering all aspects of student life — Sara considers their platform to be a straightforward solution for the needs of Student Affairs. "We like to keep things simple," she says. "CampusGroups is the first place to look when you need help you with your problem."